When you compare the latest information from the Centers for Disease Control and Prevention, despite Illinois having by far the most restrictive gun laws compared to neighboring and other Midwest states, Illinois has the worst violent crime rate. Most gun deaths are from suicide, but not in Illinois. It is hard to miss. In Iowa, you have a total of 49 homicides for 2016, but 288 suicides. In Wisconsin, 188 homicides but 455 suicides. In Illinois, though, it is a pathetic reversal: 944 homicides vs. 506 suicides. There is no 2nd Amendment in Illinois. To so much as handle a firearm legally in Illinois, you need to ask permission from government: https://www.ispfsb.com/public/foid.aspx . Illinois has 100% state and federal background checks for anyone to handle or possess a firearm or ammunition. Criminals of course do not have valid FOID cards, are not NRA members, and they don't have conceal carry permits either. See Chicago, Illinois. Despite already having more gun laws than the State of Illinois can possibly enforce, delusional state senators like Senator Julie Morrison just want more of them. 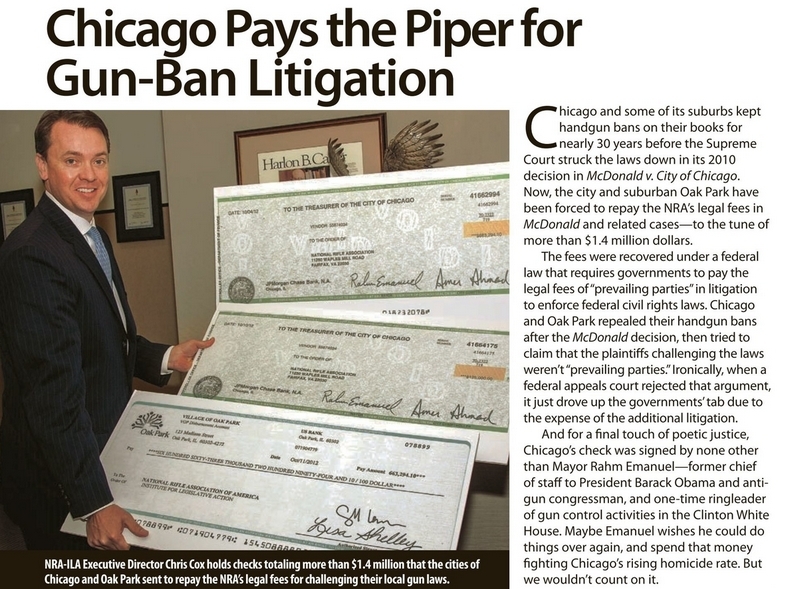 The legal gun owner in Illinois who is already taxed and harassed and has a FOID card is the target of more laws, more taxes, and more harassment by Senator Morrison and others of her ilk, while criminals remain unaffected. And Heller draws a distinction between such firearms and weapons specially adapted to unlawful uses and not in common use, such as sawed-off shotguns. Id., at 624–625. The City’s ban is thus highly suspect because it broadly prohibits common semiautomatic fire-arms used for lawful purposes. Roughly five million Americans own AR-style semiautomatic rifles. See 784 F. 3d, at 415, n. 3. Under our precedents, that is all that is needed for citizens to have a right under the Second Amendment to keep such weapons. See McDonald, 561 U. S., at 767–768; Heller, supra, at 628–629. – Judge Clarence Thomas, December 7, 2015.